EXPERIENCE THE “FOOD OF THE GODS” THAT IS PURE ARTISANAL CACAO! Level up your life with an ancient superfood that’s like medicine for your soul. You’ll love the elevated mood, focus, and motivation that this amazing coffee alternative offers. Cacao is the original form of chocolate! But most chocolate products are processed and diluted to a point that the original benefits of cacao are no longer present. Not only does pure cacao contain a high amount of antioxidants plus magnesium, iron, and other minerals. It also features theobromine, a mildly stimulating compound different than caffeine because sensation is less jittery and it doesn't lead to crash or cravings. While South American cacao can have some caffeine, Guatemalan cacao reportedly contains little to none. For thousands of years the indigenous cultures of Latin America have also regarded cacao as a sacrament and a way to connect with the divine. The influx of Europeans led to different production methods including roasting at high heat and removing the healthy cacao butter. Soul Lift Cacao is proud to present truly artisanal cacao in all its original greatness, to help the world while also taking care of the planet and giving back to indigenous people who have kept traditions alive. We source cacao through ethical direct trade with family farms and collectives in Guatemala. They keep the scale small to ensure things are done at the human scale and in a way that’s sustainable for people and the land. And the spirit of the indigenous Mayan people inspires and influences everything we do. They’ve always treated cacao as sacred, and the groups we work with give their blessing for us to share it around the world. We operate a step beyond “fair trade,” since we’re transparent about our sources, check on the quality of their production systems, and ensure that their standards of worker compensation and care are higher than cacao industry averages. 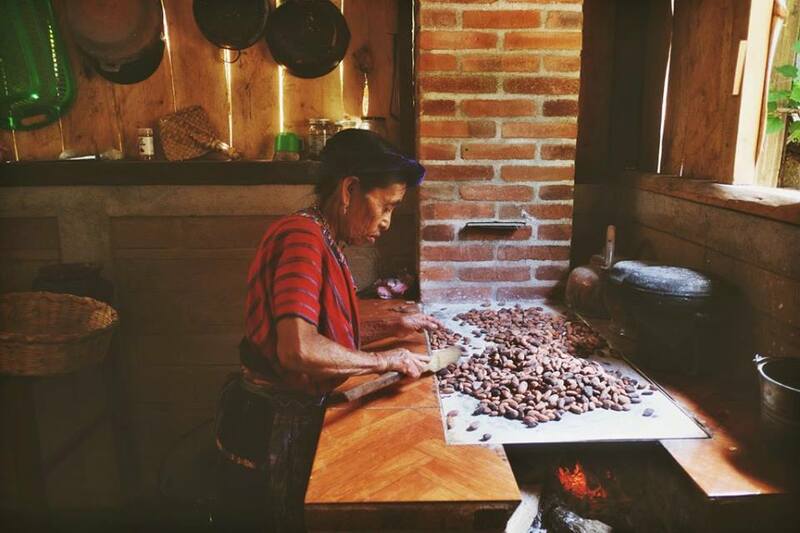 Plus, they prepare cacao the ancient traditional way, selecting beans by hand and lightly roasting them over a wood fire. This impacts the flavor and the sensation of the cacao, giving you an unforgettable aesthetic experience. What’s more – because we buy finished products from our sources, more money from your purchase goes back to the people preparing the cacao in Guatemala. So by enjoying our products, you’re literally giving back to people who need it. We sell delicious cacao beans, nibs, and paste in bulk packaging for your convenience. The nibs make a great superfood smoothie boost and an effective coffee alternative. This will help you optimize your home life and lift your mood. We carry ceremonial cacao paste with smooth flavor and sensation, great for your yoga or meditation practice, or even just an afternoon pick-me-up. Please enter your best email address below.